Cheapest price that I've seen for a brand that is not normally reduced. Still at least £55 plus elsewhere. Hope this helps a few people. really nice, just splashed out on Acqua di Parma Oud but otherwise I would be very tempted by this. really nice, just splashed out on Acqua di Parma Oud but otherwise I … really nice, just splashed out on Acqua di Parma Oud but otherwise I would be very tempted by this. ​John Lewis when they were price matching, tricky to find it discounted otherwise. It is a real luxury but so nice. When buying expensive fragrances makes more sense to buy from other EU countries due to strong pound. Only the Private Blends are worth the money. 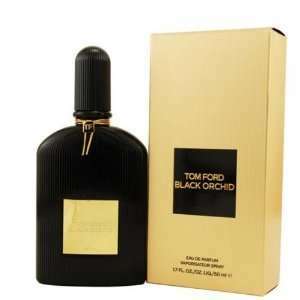 All the other Tom Ford fragrances are synthetic and manufactured by a generic parfumerie in France. Has anyone tried Tom Ford private blend Tuscan Leather. ​Is it me or lately most your comments about an eBay seller in fragrance threads? Higher perfume concentration, longer lasting scent - just far superior. Thanks for that!! If you do find a good price on the creed edp drop us a message please! Thanks for that!! If you do find a good price on the creed edp drop us a … Thanks for that!! If you do find a good price on the creed edp drop us a message please! It's very rare to find any Creed on offer... Sometimes in the Creed boutique but not often. Which Creed are you looking for? Oh and look out for fakes!! It's very rare to find any Creed on offer... Sometimes in the Creed … It's very rare to find any Creed on offer... Sometimes in the Creed boutique but not often. Which Creed are you looking for? Oh and look out for fakes!! Good choice. I was looking to get this for my husband. It smells divine! ​wow that is a good saving, how long was delivery? Good choice. I was looking to get this for my husband. It smells divine! … Good choice. I was looking to get this for my husband. It smells divine! This is the one I bought my husband for xmas. Expensive but lovely. I had 50 quid John Lewis gift card from my home insurance renewal which soften the blow. Worth the money as its smells lovely. Amazon refused to refund the difference between this and the deal on Black Friday (at £49.99), so now going through the process of returning the original and rebuying a new one. More courier costs for them and actually I'm £8 up with Student discount. Amazon have put this up to £57.49 now so the deal has gone. Hope a few picked this up if they needed it before Christmas. Good thread too. Picked up a few tips so thanks all. Wasn't it £38 on blackfriday week ? My mate inboxed me saying £38 tom ford, but it was over by the time I got the message. Wasn't it £38 on blackfriday week ? My mate inboxed me saying £38 tom f … Wasn't it £38 on blackfriday week ? My mate inboxed me saying £38 tom ford, but it was over by the time I got the message. My order shows £49.99 (it was apparently reduced from £75), unless I missed the 15min checkout window and paid the normal price..
Creed does only one concentration of fragrance, and they call it millesime which is their equivalent of parfum strength. The Creed you purchase from Nose with be the same you get from Selfridges/Harrods etc. If there is any difference in smell that will be due to batch variation... but I don't want to open that can of worms. Oh and another thing, the Creed price you see on Nose is actually the RRP for it in France. Creed is only expensive outside of France. Nice find got a tester nice stuff.